In the previous blog, I showed you how to create and model a workflow project. 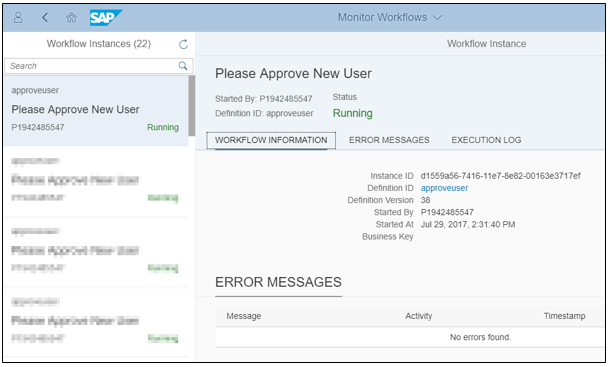 In this blog, I am going to introduce you to the workflow monitoring tools. Using these tools, you can now test the workflow without the need for building a Start UI. 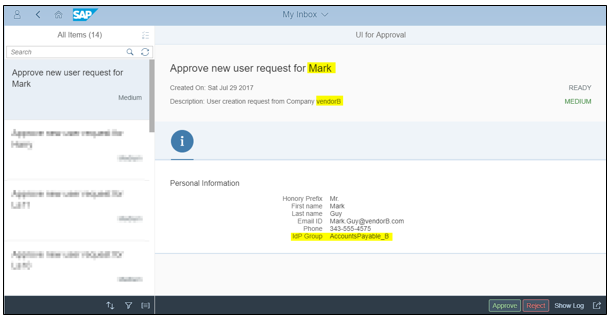 If you have gone through the this blog on “Getting started with the Workflow service in the free Trial account” by Christian Loos, you would by now have a Portal site based on Fiori Launchpad with the below set to applications – My Inbox, Monitor workflow definitions and Monitor Workflow instances. When you click on “Monitor Workflow definitions” tile, you will get to see all the workflows which are deployed to your account. 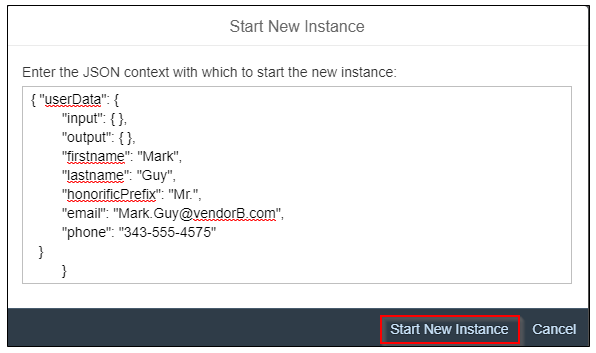 Click on “show instance” button to switch to the App which displays the status of all the workflow instance. In the below screenshot, you can see the instance is currently “running”. The “execution log” provides interesting information. 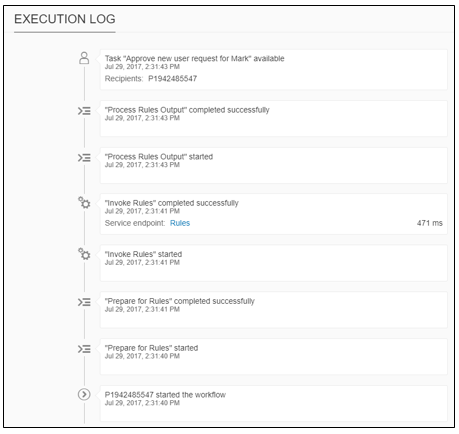 It tells you the status of the execution in each of the steps within the workflow. It also tells you that the workflow process is currently pending action with a recipient. As an administrator, you can also view all the APIs calls which are made and the processing time for those calls. 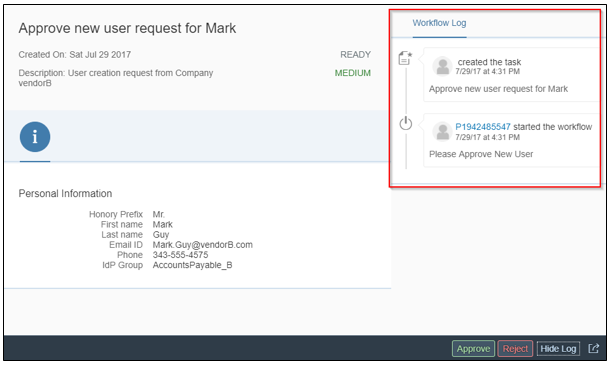 As an approver, you can also click on “Show Log” button to view the flow of the request. In the next blog, I will show you how to build a HTML5 based App “Start UI” which will trigger the workflow and create an instance. Thanks for the post, very educational. I’ve an error in workflow (step : Invoke Rules) after creating the instance.It says “HTTP Status 405 – Method Not Allowed”. My http method is the same(POST) as in your example. By the way i’m using trial account on account.hanatrial.ondemand.com.